← Firefighter Faustino Apostol, Jr.
Posthumously promoted to Captain, Giammona left behind four young daughters. 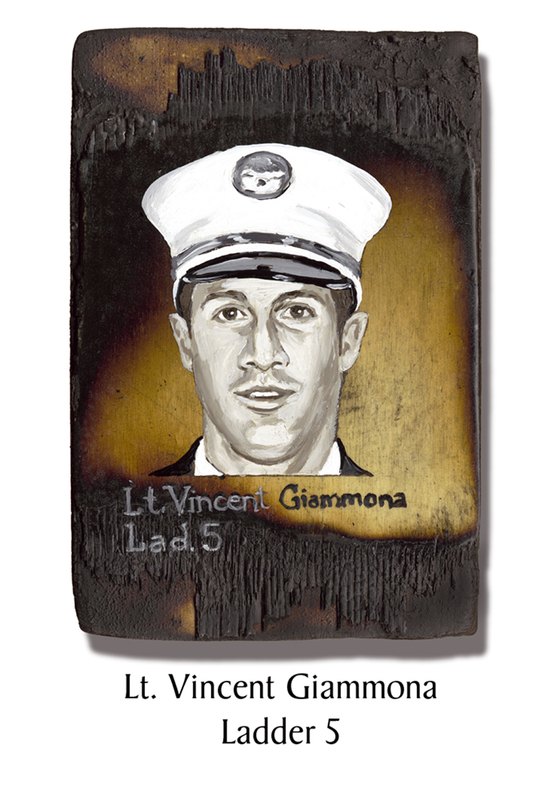 This entry was posted in Better Angels Stories and tagged 343, better angels, Dawn Siebel, FDNY, firefighter, firefighters, firefighters of 9/11, Ladder 5, LODD, Lt. Vincent Giammona, memorial, NFFF, paintings, World Trade Center, WTC. Bookmark the permalink.